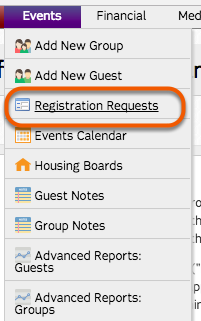 Registration requests contain the information submitted by groups/guests through the online Dashboard registration form. If your camp is using manual processing mode, you will need to approve all group/guests enrollment requests. 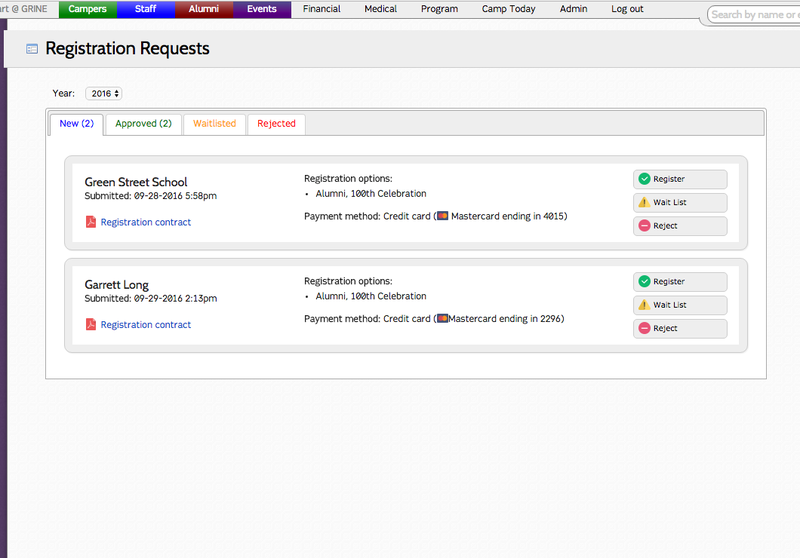 To view registration requests, select Registration Requests from the Events menu on the navigation bar. Registration Requests are organized into tabs for New, Approved, Waitlisted and Rejected registration requests.